The Time’s Up organization held a daylong event on Saturday as part of the Tribeca Film Festival, convening panels of Hollywood actors and other #MeToo activists who spoke about the importance of standing up for victims of sexual harassment and abuse. 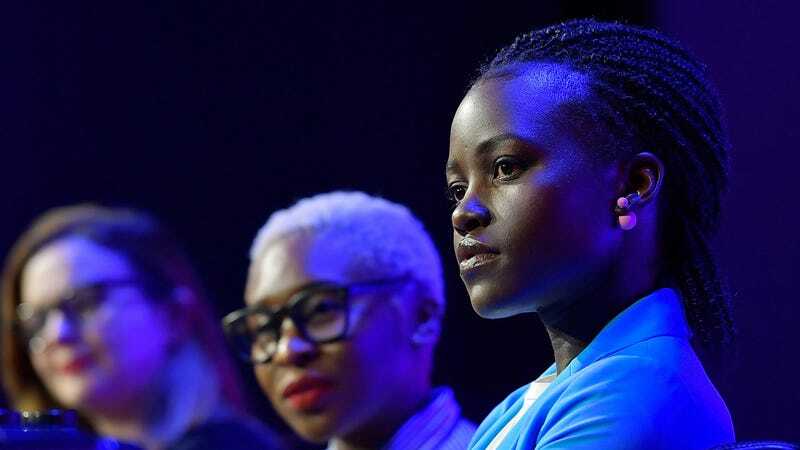 At one event, Lupita Nyong’o joined Amber Tamblyn, Mira Sorvino, and Cynthia Erivo to discuss the importance of putting more women on and behind the screen. Nyong’o called for more inclusion in Hollywood, and celebrated teaming up with women on diverse projects. “I know my story best, and I want to be able to tell my story and tell it with people like me who also feel this gaping hole of representation,” she said, according to the Hollywood Reporter. In Hollywood, Nyong’o has tried to breach that gap, taking on roles in blockbuster films celebrating diversity, like Black Panther and the new Star Wars sequels. She is also working on a television adaptation of Chimamanda Ngozi Adichie’s Americanah. “Because I had existed in a world where I had learned from people who didn’t look like me, when it came time for me to have opportunities, I, too, could teach people’s understandings of themselves that don’t look like me; it works both ways,” she said at Saturday’s panel. For that project, Nyong’o is teaming up with Black Panther co-star Danai Gurira, with whom she also worked on Gurira’s Broadway play Eclipsed. That project was nominated for a Tony Award for Best Play, and won an Obie for distinguished performance by an ensemble; Black Panther has shattered box office records. Not only does representation and collaboration work, but it is tremendously successful.